As you may know, I spend most days at a local high school. You can read about my adventures as a teacher here. However, I don’t teach all day, everyday. While some teachers here have dedicated spaces (think specialities like computers, wood shop, etc), many other teachers complete non-teaching duties in the room pictured above. It’s our staff room. The staff room is also where I spend most my time when not teaching. I have a desk and a chair that I usually sit in. This is where I read, prepare lessons, and have lunch. At times, the staff room is host to all staff meetings and other trainings. The staff room is also where many student textbooks are stored when not in use. Students will visit the staff room to find teachers for extra assistance or to turn in assignments for grading. Sometimes, teachers will grade assignments (known as marking here) in the staff room. The stacks of notebooks seen above have student work from various student classes. Once the marking is done, one or two students will pick the stack to return to her/his classmates if students don’t retrieve their own notebooks. 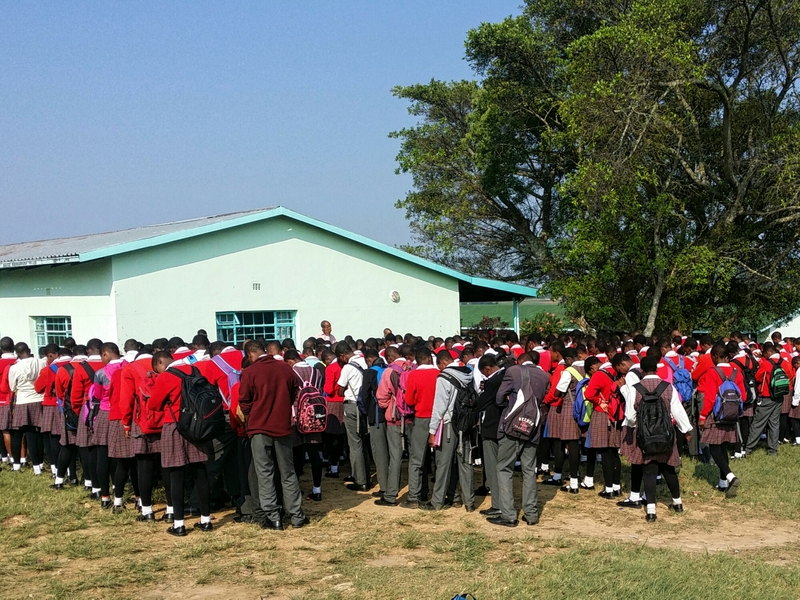 The school year in Swaziland is divided into three terms. During the first term (which we’re currently in), high school students participate in sports. There is special time set aside for athletics. Some schools compete against other schools. At my school, the students compete against other grade levels. 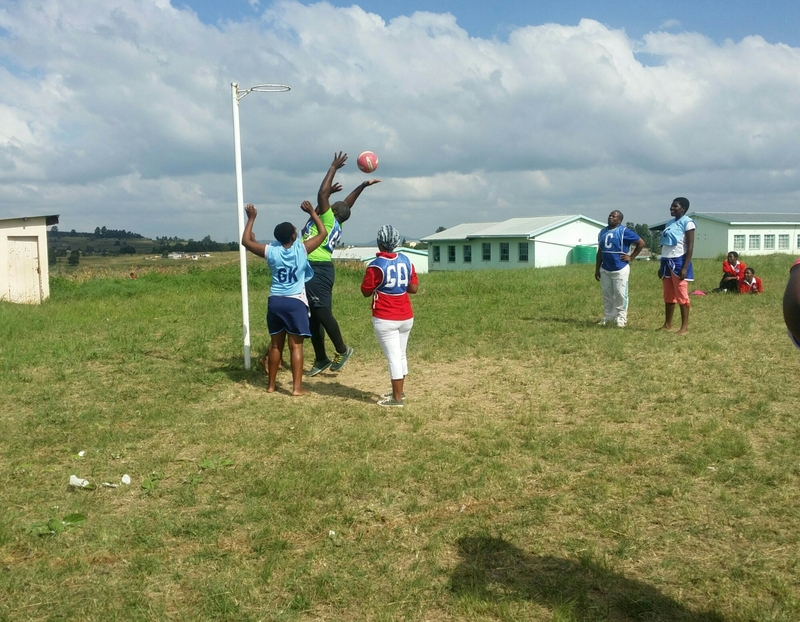 The students compete in soccer, volleyball, and netball. Recently, our school hosted a series of sports days. The teaching schedules were pushed aside in favor sporting event schedules. When students and fellow teachers asked if I would be playing, I told them that I was unsure. On the actual day, there was tremendous encouragement for me to play netball. The teachers’ team needed players. I informed them that I didn’t know how to play. In true Swazi fashion, several teachers responded that it wasn’t a problem and that I would learn. I was told that netball is very similar to basketball. That’s true, as there is a ball and a basket. Imagine ultimate frisbee played on a basketball court. You have to put the ball in the basket (no backboard included) instead of putting it in the endzone. There are distinct positions on a netball team. In our first match, I played the position of Wing Defender. This position plays opposite of the Wing Attacker. I was responsible for stopping the advancement of the ball. I had to learn that netball is not supposed to be a contact sport. Old habits die hard. In our second match, I played the position of Goal Scorer. This position plays opposite of the Goal Keeper. As a Goal Scorer, I was responsible for scoring the goals (i.e, putting the ball in the basket). I learned that I’m not really good at this position. We lost both games. P.S. 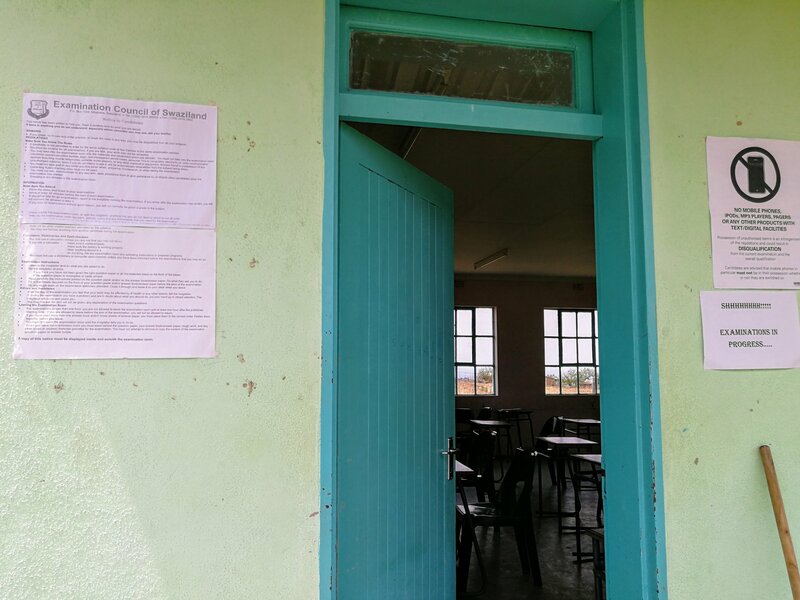 – Last week, Peace Corps Stories featured one of my blog posts! Tell your friends.